Yesterday I stopped by a client’s house. I noticed these two pigeons sitting under the tree in her front yard. I thought little of it. Today I stopped back by to drop something off. 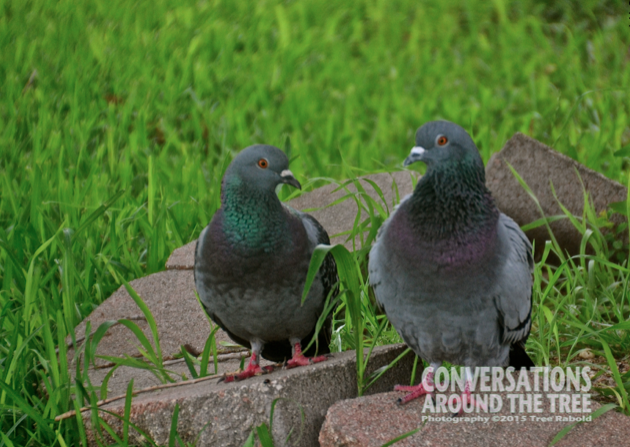 As I turned toward my car I noticed the 2 pigeons out of the corner of my eye, sitting in the exact same place. I did a double take. My client proudly told me those two pigeons spend a lot of time in her yard. I had to get my camera out. The pigeons seemed perfectly happy to pose for their photo shoot! This entry was posted in Uncategorized and tagged 365 photos, Nature, pigeons on May 30, 2015 by treerabold.